Catawiki’s purpose is to enable people to discover and obtain special objects that help them fulfil their passions. In doing so, we want to add some colour to the world and make it a more interesting place! Our Development team is responsible for stability, reliability, and versatility of Catawiki’s platform. We are building new and exciting product features to craft an engaging platform so that our users can offer and discover special objects. At the same time, we are moving the platform towards a microservices architecture by gradually dismantling a Ruby on Rails monolith. As the biggest online marketplace for special objects, Catawiki operates in a market which brings a lot of unusual challenges and opportunities. You will be developing, testing and scaling our microservices, written mainly in Ruby and some of them in Go, to handle the high volume served by the platform every single day. We do this by using Infrastructure as Code principles, collaborative peer-reviews, delivering code to production multiple times a day, A/B testing every assumption, making mistakes, learning from them, and iterating quickly. You will be part of a team focused on a particular domain within Catawiki and contribute your ideas and efforts to grow the business and innovate the product. Each team is usually composed of Frontend, Backend and Mobile Developers together with a Product Owner, a UX Designer and a Data Scientist. A piece of the moon, a complete dinosaur skeleton, the Pope's hat, the world's smallest book - at Catawiki, we come across exceptional objects such as these every single day. Our mission is to make these special objects available to everyone. Born and raised in The Netherlands, we started in 2008 as a platform where collectors could manage their collections online. Yet, times change, ideas evolve, and in 2011 we hosted our first online auction and haven’t looked back since! We’ve now grown to 500 Catawikians working across 7 international offices and are proud to have maintained our start-up mentality. Born and raised in The Netherlands, we started in 2008 as a platform where collectors could manage their collections online. Yet, times change, ideas evolve, and in 2011 we hosted our first online auction and we haven’t looked back since! We’ve now grown to 600 Catawikians working across 7 international offices and are proud to have maintained our start-up mentality. International Food Festivals, Team Sports, Karaoke! 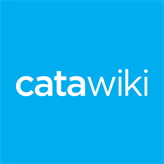 Want to get notified about new jobs at Catawiki?